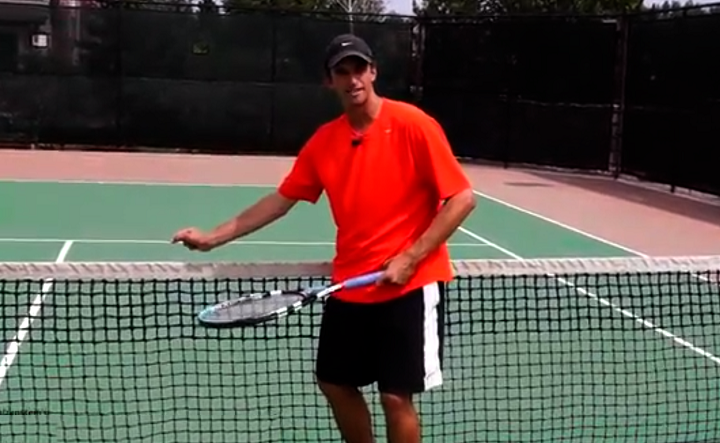 Today, we’re going to talk about how to adapt from a slow court to a fast court. 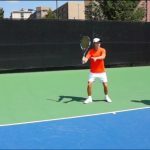 All tennis players need a bit of time to adapt to different court surfaces, and change doesn’t always come easy. 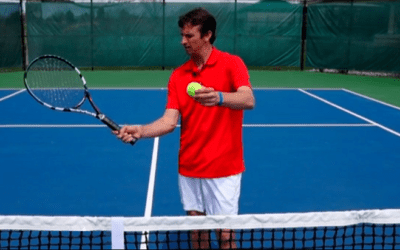 There are some specific grass court tactics and hard court tactics that you can employ on various courts, so that you can adapt easier and exploit the natural advantages of the given court surface. Here’s a few simple ways on how to adapt from a slow court to a fast court. The first thing players notice when moving from a slow court to a fast one is that they are late on more balls. There’s a feeling of more balls balls pushing you back as you move and hit the ball. What you can do to counter this is to move back further behind the baseline. On a fast playing surface, the balls are going to skid and stay low. This means you need more time to prepare for each shot. Anticipate where the ball’s coming and start preparing for your next shot as soon as the ball leaves the opponent’s racquet. When you move back behind the baseline, you compensate for the lack of preparation time. So, you should be able to get in a balanced position and hit more shots in your ideal strike zone. Players who like to hit flat naturally play better on faster courts. When moving from clay to a hard court or grass, you should try to hit flatter shots and aim lower over the net. This will cause the ball to skid through the court more, giving your opponents trouble. Typically, when you’re playing on a slower court, you’ll want to hit the ball higher over the net with more spin. The strategy for a fast court should be the opposite of that. Hit flat shots and focus more on the depth by playing through the middle of the court and down the line. Flat shots skid and your opponent will have less time to react to those balls. A deep ball will further push your opponent back and make it hard to play an aggressive shot back. Here’s another tip on how to adapt from a slow court to a fast court. 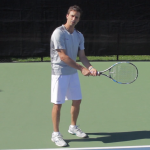 Using more slice, especially on the backhand side can be a powerful weapon on fast courts. Sliced balls will stay lower forcing your opponent to have to hit up and slow the pace of the ball down. This gives you more time to react to their shot. This puts you at a natural advantage as you can take those slower balls coming back at you and attack more often. As a general rule, the ball bounces lower on a faster court compared to a slower court where the ball can sit up more. This is enough reason to play with more slice on the faster courts. 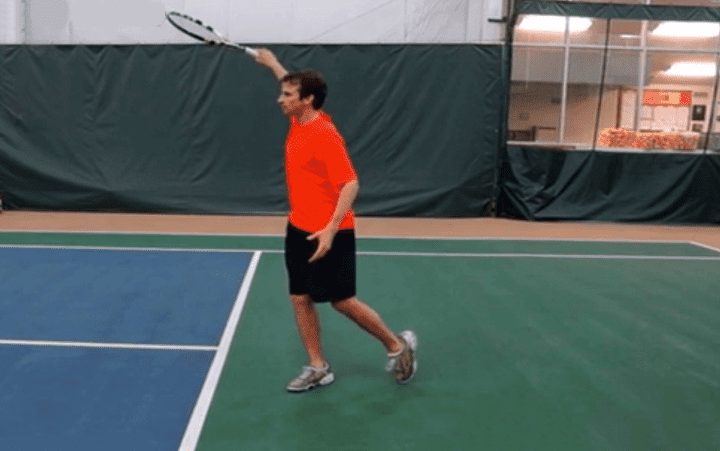 When it comes to targets, using the backhand crosscourt slice can work beautiful. Because not only will the ball stay low, but it will also force your opponents off the court, giving you more space to hit the next shot to the open court. 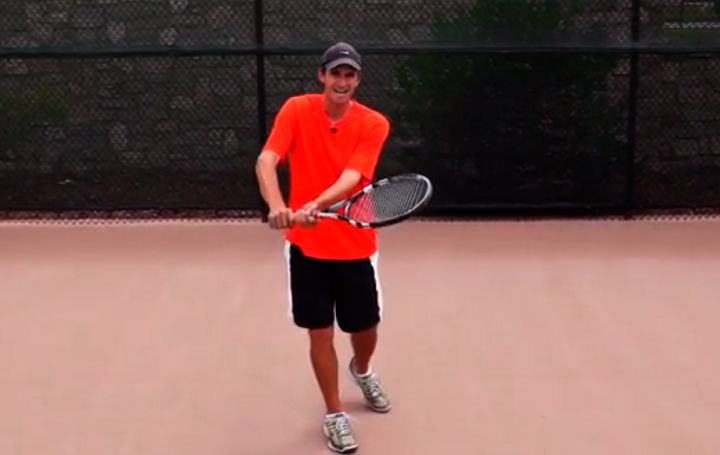 If you like to play on fast courts, incorporating that slice can be a real difference maker. One of the most efficient strategies on a fast court is to play down the line. 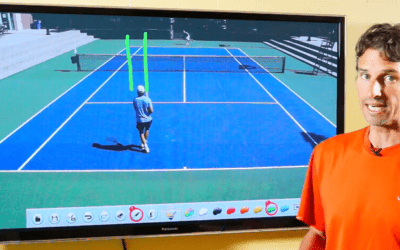 You don’t want to hit as many angles on a fast court. Instead, hit straight ahead to take time away from your opponents. When you play down the line, the ball travels a shorter distance, and doesn’t give your opponent as much time to react to the next shot. This is a great strategy to go on the offensive quickly. Either by hitting outright winners, or forcing defensive returns from your opponent. So, as soon as you’re balanced in a point, look to go down the line on fast courts. Now, for the last tip on how to adapt from a slow court to a fast court. Slicing your serve on a fast court is a great opportunity to dictate how the point is going to play out. 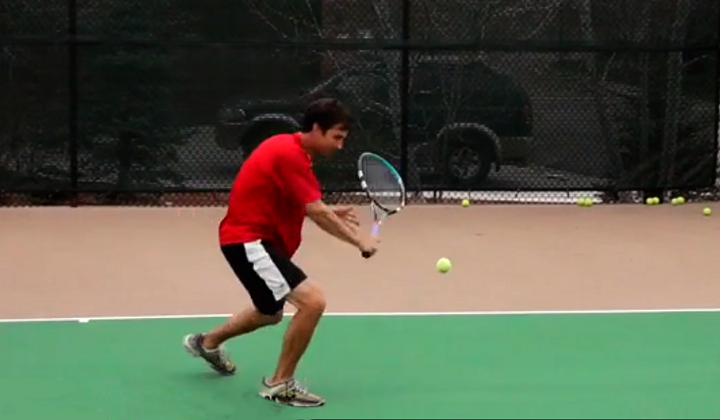 The lower, skidding bounce from a slice serve on the fast court can be devastating. 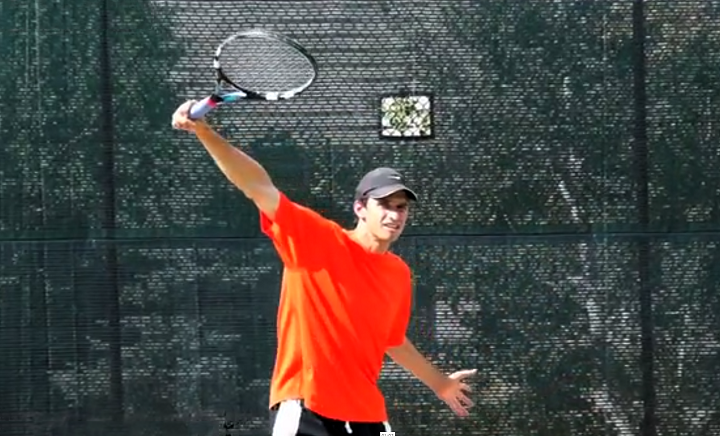 Use the slice serve to get the ball to skid off the court and stretch your opponent out. If you get the serve in, the court will be open and you can easily attack by playing to the open court on the next ball. 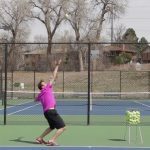 The above tips on how to adapt from a slow court to a fast court should help you greatly. Using the correct strategy that fits the surface speed will have a tremendous impact on your overall performance on the court. 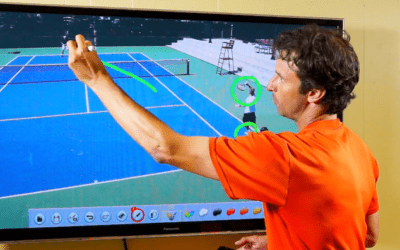 Players can get frustrated when changing to a faster court surface because their shots don’t seem to work as well. This is normal and you just need to spend a bit of time on new courts to get a feel for the bounce of the ball ,and the timing. Adjust your strategy accordingly to the faster court, and you’ll be able to get in the zone more often.